Unburdened by the design constraints of the attention economy, we can provide users the best tools for real discussions, for finding facts, and for developing new ideas. Rich text posts allow the user to create the content they way they want it to be seen. 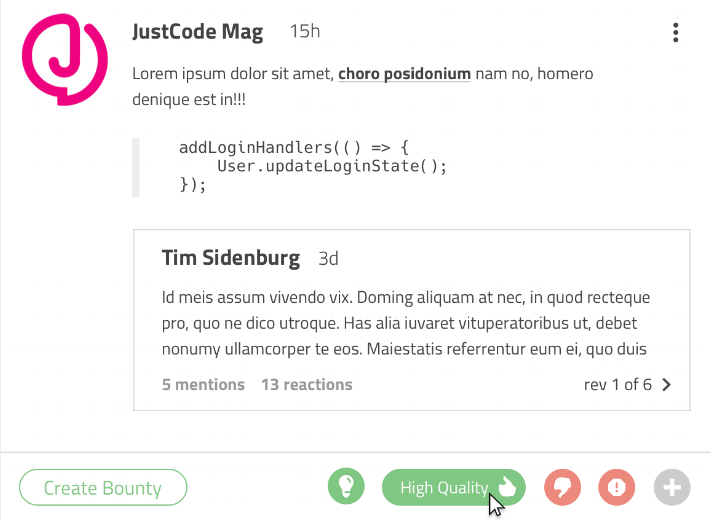 Inline comments help focus discussion, and allow specific claims to be checked. 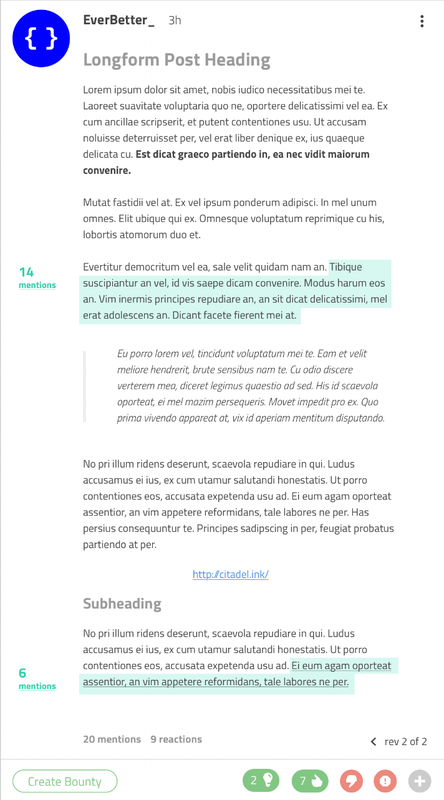 Index preserves revision history and allows you to see how this post is referenced by others. Strong referencing of posts allows users to track the conversation to its origin. Backed by the blockchain, these references can never be lost; the link cannot be destroyed. Discrete reactions allow you to quickly share your opinion in a way that is easily understood by all. Users, recommendation algorithms, and analysis AIs use reactions (and the reputations of the reactors) to evaluate posts. Bounties provide a way to get information from users who may be too busy to answer everyone's questions (or simply don't always want to do that work for free). When an important question that needs to be answered is missed, bounties incentivize the recipient to participate and drive the conversation to the area in which it is needed most.